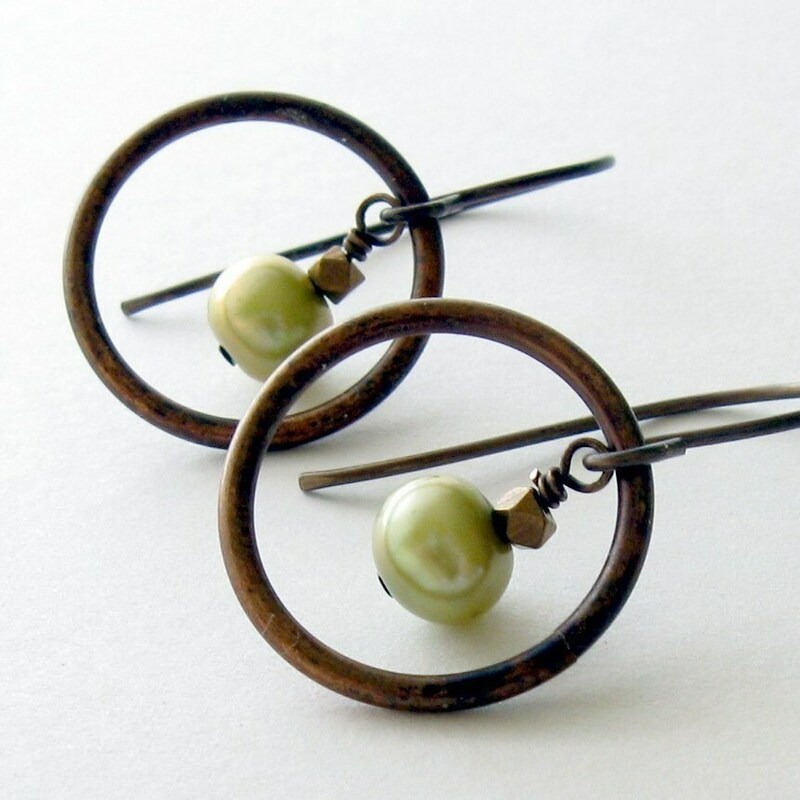 Love the contrast between the brass nugget topped freshwater cultured pearls and the aged brass circles. The length is around 1.5 inches. The earwires shown are hooks and can be swapped to other brass earwire shapes free of charge. Great shop.....I have a number of her pieces & again not disappointed. Just beautiful & fun to wear.